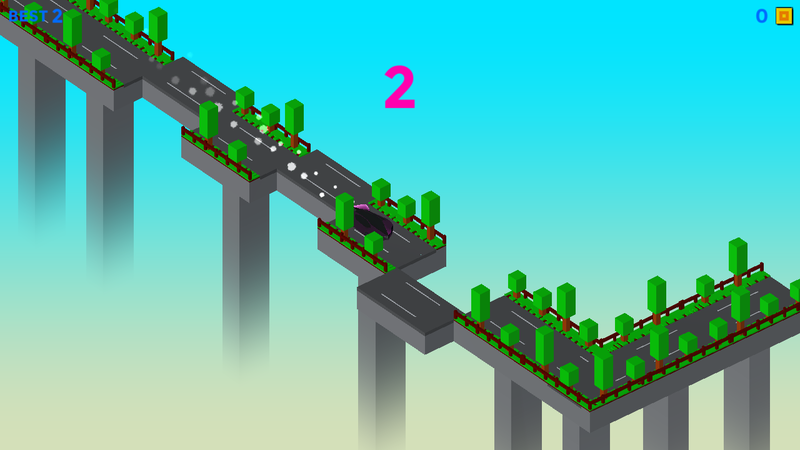 Make the Way: New idea game in which just make the road at runtime.Your car is driving and you have to make the way to make longdrive.Multiple car are available with different speeds and models.Youhave to just tap on the screen and road is build. *************GameFeature*************** * Mind attention game. *Increase mind power. * smooth control. * Amazing Enshrinement. *Multiple Cars. Seerat Hazrat Umer Farooq: Was one of the most powerfulandinfluential Muslim caliphs in history. He was a senior companionofthe Prophet Muhammad. He succeeded Abu Bakr (632–634) as thesecondcaliph of the Rashidun Caliphate on 23 August 634. He was anexpertMuslim jurist known for his pious and just nature, whichearned himthe epithet Al-Farooq ("the one who distinguishes(between rightand wrong)". You can read all history about HazratUmar in thisbook. Many topics about the life of Hazrat Umar (RS) . Tohfa Dulha: Best Islamic book for muslim grooms.Book is fullofinfomation and guide for new married grooms. Download forusefulinfomation and instructions. App Feature: Page Zooming. SwipePagenext to previous. lock page so that you can zoom this willstopswipe. Last Read Option so that you can start read where youleft.Bookmark option in which you can save you favourite page. Al Quran Kareem with Tajweed:(القرآن کریم تجوید کے ساتھ) قرآنمجیداللہ تعالی کی آخری کتاب ہےجو کہ ہمارے آخری پیغمبر حضرت محمدﷺ پرنازل ہوئی۔قرآن مجید کو روزانہ پڑھنا چایئے۔اس اپلیکیشن کےذریعے ہمقرآن مجید کو تجوید کے ساتھ پڑھ سکتے ہیں۔اس اپلیکیشنکوڈائن لوڈ کریںاور روزانہ پڑھیں۔ Quran Majeed is the Last Book ofAllah and it isneccessary to read it daily. There is many benefitsto read QuranMajeed. Download this Application and you can readQuran WithTajweed. This apps is properly define about QuranTajweed and how tolearn it. So Download and read AlQuran daily.App Feature: Last ReadFeature which allows you to you read lasttime page. BookmarkFeature to save your favorite page. Lock SlidePage Feature to lockthe current page so that you can read and zoomeasily. Fazail e Amaal: Best islamic guide for muslim. This book isgoodguide to spend your life according to Islam. Read this book andyouwill clear alots of issues of daily life. This book containsthefamous Sahih Hadith. Hazrat Zakariya is the author of thebook.Thisbook menstion alots of topics that we need to know or wecan solveour problems if we fellow book. This book contain famoushadithabout pillors of Islam which is Kalma , Namaz ,Roza ,ZakatandHajj. Please contact us if you facing any mistakes. May Allahblessus. Feature: Swipe Pages. Pinch Zoom in and out. MaterielDesigns.Islamic Informative Knowledge. English Math Tracing Book: This app is best for kids learningstage.Kids can learn and draw alphabets and counting easily usingthisapp. Very useful book for kids. Draw the alphabets withmultiplecolors and you can erase the drawing. Audio of this appwillincrease to understand the words. Kids must learn through thisbook.How to Use: Just press you kids finger according to handpointermove to ease drawings. Stars mentions for best average orpoordrawing. Just click multiple color pencil to select colorofdrawing. App Feature: * Kids can learn English small andCapitalAlphabets. * Kids can learn Math Counting. * Kid can alsohearaudio. * Draw and erase feature also available. * And Much moresojust download and use.